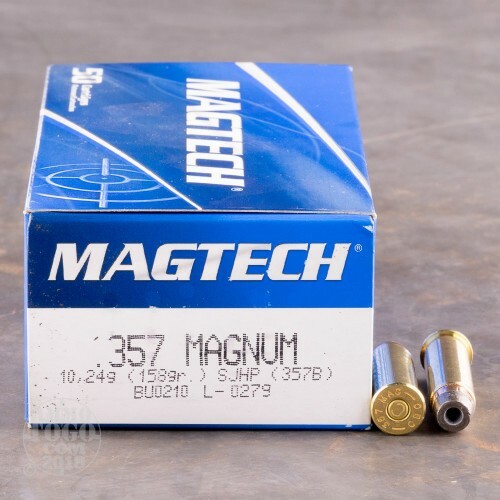 Reliability, performance, and value make this Magtech .357 Magnum ammunition perfect for backyard shooting and pistol target practice. Factory fresh, non-corrosive, and reloadable, this high-performance ammo features reliable boxer primers and quality brass cases. 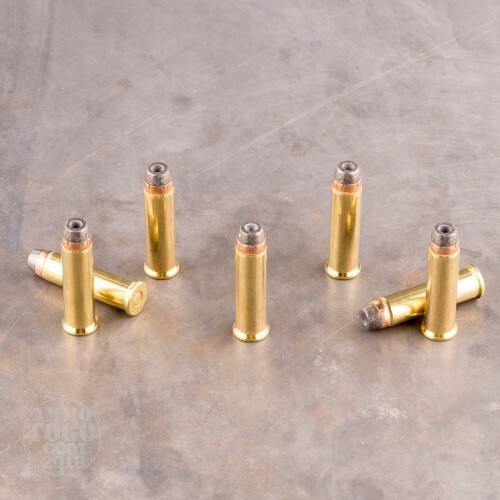 Each cartridge is loaded with a 158 grain semi-jacketed hollow point (SJHP) projectile. Providing a great balance between penetration and expansion, SJHP loads are also a viable option for self-defense applications. Leaving the muzzle at a velocity of 1235 feet per second, each round delivers 535 foot pounds of muzzle energy. 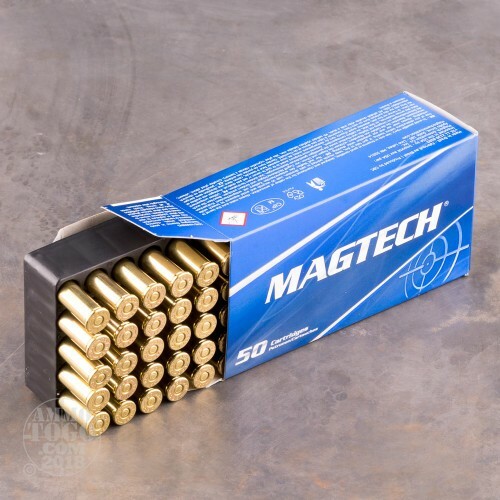 This ammunition is packed in 50-round boxes with 1000 rounds per case. 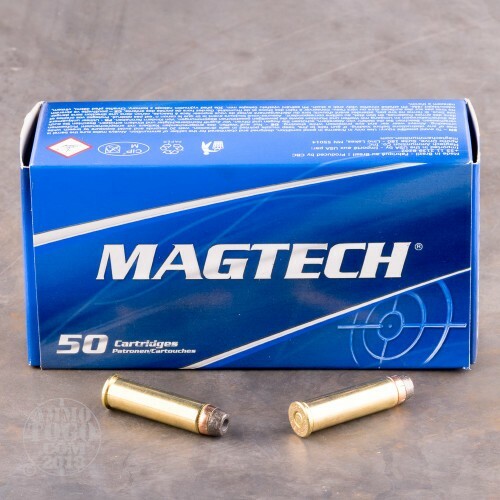 Founded in 1926, Magtech is dedicated to producing high-performance ammunition. Magtech retains total control of every stage of production, manufacturing all their components to ensure consistency and quality. Designed and constructed above and beyond industry standards, Magtech ammunition offers a great value for all your shooting needs.